World Poetry Celebrates the Talented Synn Kune Loh! 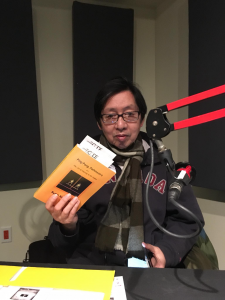 Ariadne’s Notes: The World Poetry Cafe Radio Show was honoured to welcome the noted poet, author, songwriter and artist Synn Kune Loh on January 4th, 1-2 pm PST on CFRO 100.2 FM. He is one of the unsung heroes of this time dealing with a disabling disease with creativity, grace and love. His new book is a fascinating account of his journey and how the game of Ping Pong helped him in so many ways. 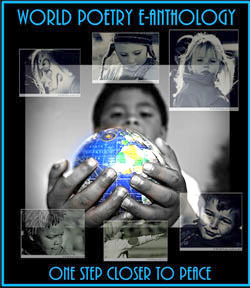 World Poetry would also like to thank him for his support of our society., sharing his creativity in so many events. Thanks also to super tech Victor Swartzman and special volunteer Sharon Rowe and the music of Mark Zaleski. A special E-Peace Poem by YIOULA IOANNOU PATSALIDOU FROM CYPRUS! On January 11, 1-2 PM CFRO, another hero Kevin Morris, a blind poet from England, Dig Lewis and Paul Bolotin. Stay Tuned! Synn Kune Loh is a visual artist, a painter, a poet ad a song writer. and a CD, “Return to the Boundless Light.” He was born in China and grew up in Hong Kong. He received a BA in psychology from the University of Bridgeport in Connecticut, U.S.A.
and began a career as an exhibiting artist. His early paintings were abstract landscapes, followed by themes that stem from a metaphysical content. agent, and wrote a book titled “Ping Pong, Parkinson’s, and the Art of Staying in the Game.” The book has been by Silver Bow Press in January, 2018 and will be launched at the Lipoint Centre in Richmond , BC. January 13th from 2-4 pm along with an exhibition of his retrospective art exhibit. Free, all are welcome to attend! Speaking is just making noise. Talking is too much about facts. a heart to heart communication. Surviving samsara is our journey. Remembering nirvana is our destination. emerging from the old self. Synn Kune Loh (C) All rights reserved. This entry was posted in Ariadne's Notes, E-Poets, General and tagged and the Art of Staying in the Game. ", Author Sharon Rowe, Braitwaite and Katz, Dig Lewis, http://www.synnkuneloh.com/, International Peace Award Ariadne Sawyer, Kevin Morris, Mark Zaleski., Parkinson's, Paul Bolotin, Ping Pong, Silver Bow Publishing, Synn Kune Loh, Victor Schwartzman on January 10, 2018 by Ariadne.